Home / PERLEDO residential area, lake view, for sale apartment with box. PERLEDO residential area, lake view, for sale apartment with box. The apartment inside a mini apartment complex named "Vista d'Oro" located on the first floor and composed of: living room, kitchenette, bedroom, hallway, bathroom and balcony with a fabulous view of Lake and approximately 1 Km from the primary services such as: mini market, pharmacy, Bank, post office, bar, Church and Town Hall. 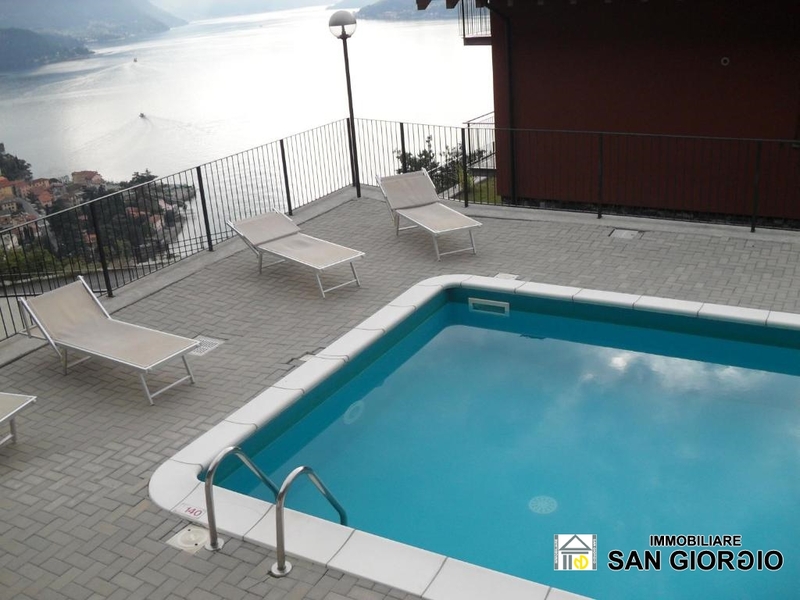 Perledo is just 1-2 Km from Varenna and is close to three major airports: Milan Linate (distance to aeroporto: 80 km); Milan Malpensa (distance to aeroporto: 120 km); Bergamo-Orio al Serio airport (distance to aeroporto: 66 km). Within 1-2 km there the pier facing Bellagio and perfect connection to the other resorts of the Lake, thanks also to its central location and Perledo station offers fast connections to Milan Central Station (1 hour with the direct ).